The Susan B. Anthony (SBA) List, the nation’s largest pro-life political organization, has been focused on Florida over the past month, urging voters to call U.S. Sen. Bill Nelson, D-Fla., and urge him to support President Donald Trump’s Supreme Court nominee Brett Kavanaugh. SBA National Campaign Chair Jill Stanek said the group’s events across Florida will continue with organizations like the Pro-life Court Coalition. Several Democrats in red states up for reelection in 2018 have been target by pro-life groups and being urged to vote in favor of Kavanaugh. Stanek says she wants to see Kavanaugh confirmed to the Supreme Court and is hopeful that Nelson may be pressured to vote in favor of him. SBA List hopes informing voters about Nelson’s voting record on abortion may sway the Senate Democrat.The group points to Nelson’s record on abortion – including his opposition to a ban on abortion after five months. The group also cites polls showing 56 percent of Florida voters want Nelson to confirm Kavanaugh and 54 percent of Floridians believe abortion policy should be decided by the people, not the Supreme Court. However Florida Radio Network news analyst Bill Carter doesn’t believe the pro-life groups are going to make a dent. “I totally understand their (SBA List ) cause, but Senator Nelson needs all the support he can get from Florida Democrats and a vote for Kavanaugh could suppress his voting base that he will need against Governor Rick Scott,” said Carter. Currently, Nelson has not met with Kavanaugh. 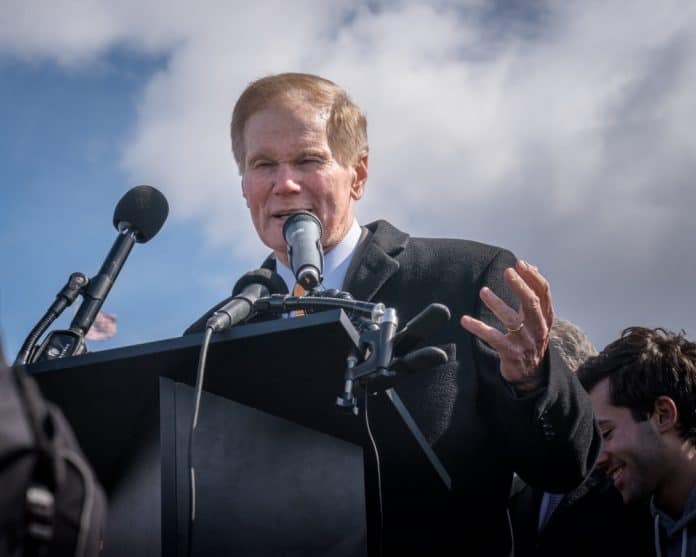 Nelson remains publicly undecided, but Florida Democrats tell Florida Daily that he will most likely vote against the nominee. Despite all of that, SBA List insists they will still pressure Nelson on the nomination. SBA List tells Florida Daily they have a team of 137 canvassers that have visited 570,800 homes across the Sunshine State.